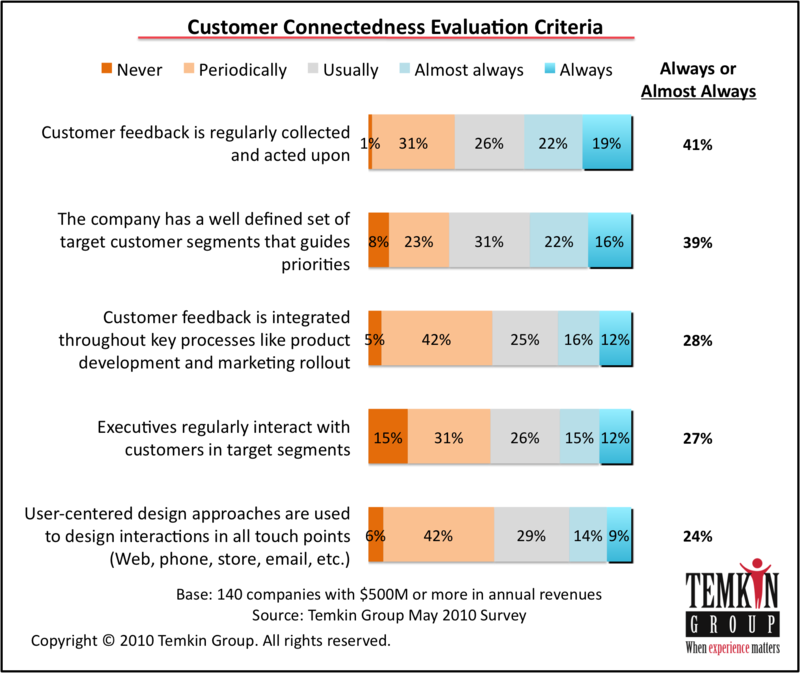 Customer Connectedness: Is customer feedback and insight integrated throughout your organization? He includes the results of a survey that suggests that oftentimes customer feedback does not make it very far through a company’s infrastructure. The post is a little jargony, but has some good ideas about how to better integrate the customer experience with the rest of your business.